Wrapping up two remarkable years of the most transformative experience I have ever had is very difficult. I’m excited to be counting down the days until I see my beloved family again, but saying goodbye to people I have become close to and finding closure with projects I have become attached to are taxing endeavors. I’m not sleeping well these days. My mind is racing around all the people I want to acknowledge with gifts, cards, hugs and tears, as well as my future plans to begin my new work almost as soon as I touch down on US soil with Teach for America. In short, I’m trying to, but am having difficulty staying in the moment of each of these last days. 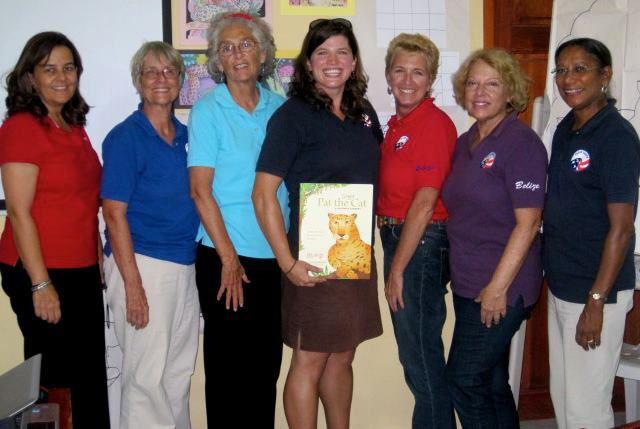 We wrapped up the Bella Vista Family Literacy Program with a party, cake, certificates, gifts of children’s books, and a visit from Nina Hernandez, our Peace Corps Country Director. The Spanish-speaking mothers who I’ve come to have great affection for explained to Nina how they had learned in our sessions the importance of stimulating their children at home by reading aloud to them, conversing with them and preparing them for school. 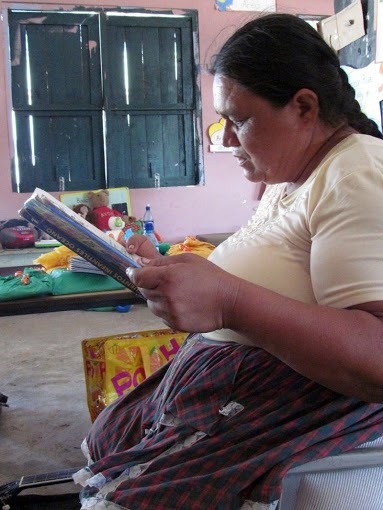 They all completed the two year project with a little collection of about 15 books to read to their children, the importance of which they had not previously known. 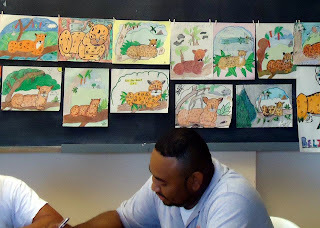 Our Pat the Great Cat Project (see blog entry from July, 2012) came to a close as well, at least the part that involved our Peace Corps Volunteer participation in teacher training. Over the last 10 months our team of six Peace Corps Volunteer educators and the US Ambassador’s wife, Barbara Thummalapally, facilitated seven workshops in all six districts of Belize, working with over 400 teachers. A team of documentary film makers began producing a video of our workshop sessions, and will continue editing for some months now before the final product of a training video is given to the Ministry of Education for future in-service training. 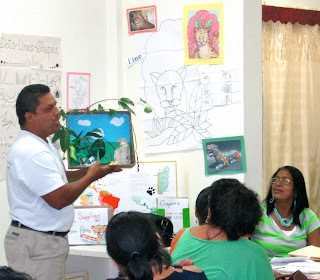 Each Standard IV (5th grade) classroom in Belize has now received a teacher’s copy of Pat the Great Cat: A Jaguar’s Journey and soon each school will receive a set of 30 hardcover copies for student use. Hundreds of teachers throughout Belize are now creatively using this engaging text to support their lessons in wildlife conservation, social studies, math, expressive arts, science, health and language arts. I am so proud to have been a part of this inspiring team of volunteers and will treasure all my memories of our travels together throughout Belize to bring literacy alive for Belize’s children and teachers. I also wrapped up my last days in the schools of Stann Creek District by saying goodbye to my favorite teachers and distributing all the children’s books and homemade educational materials I had accumulated for use in my workshops over the past two years. I put together several files of digital documents of teaching strategies, power point presentations and learning materials, and gave them to teachers on their thumb drives. I hope I have inspired at least a few teachers along the way! My landlady, Ms. Sandra, made me this beautiful bag as a going-away present. Sad goodbyes to my best Belizean friend, Dez. The famous Rodriguez sisters gave me one of their hand-made Garifuna drums to take as a souvenir of Dangriga. I'm so honored! 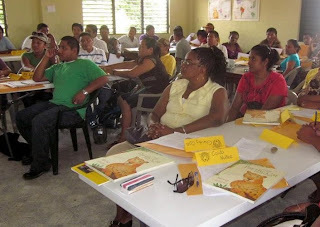 So many goodbyes from the teachers, my colleagues from the Ministry of Education, my neighbors and friends in Dangriga, all the members of the Peace Corps staff in Belmopan and my fellow Peace Corps Volunteers.....we made it to the end of a 27 month journey. I will carry the memories of this experience with me all the days of my life. What an amazing journey, Ava! So inspiring. Thank you for sharing it. Hi Ava, I've just submitted my Peace Corp application and am anxiously awaiting a response. I'm enjoying your blog in the meantime. I hope I can one day be typing up my own experiences with this wonderful organization. Any tips? Would you do it again? Also, if you wish to obtain further information about Dr. Glen T. Martin and WCPA these links are for you! Dr. Glen T. Martin has just posted his latest news article that encourage you to read! please follow the link below and view Dr. Glen T. Martins article "Trans-Pacific Partnership versus National Sovereignty: A False Dilemma." Comments are welcome and encouraged. Sorry to bother you. My name is Ray Blakney and I am an RPCV from Mexico (2006-2008). Hope all is well in RPCV life. 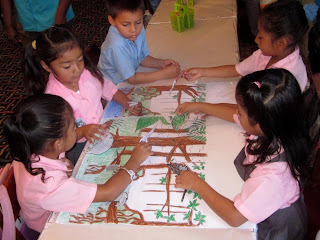 I am working on a 3rd goal project with the PC regional offices and the main office in DC to try to create an online archive to keep the language training material made all over the world from getting lost. I have created a sub-section on the website my wife and I run Live Lingua with all the information I have been able to get to date (from over the web and sent to me directly by PC staff and PCV's). I currently have close to 100 languages with ebooks, audios, and even some videos. You will enjoy Travels in South America, a new book.